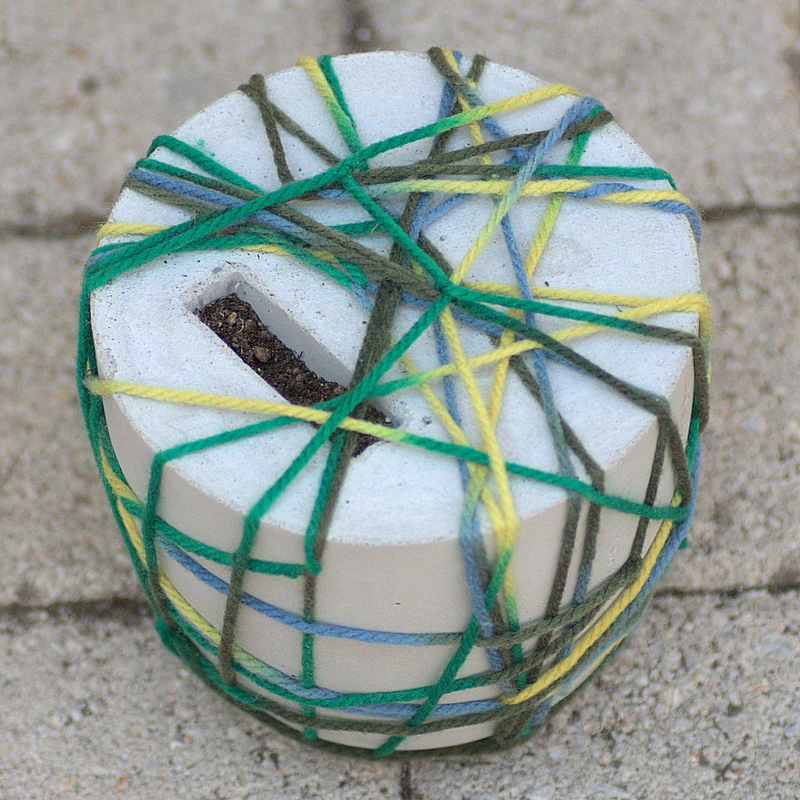 Alternative anti-flowerpot – Inspired by the book Invisible Cities. 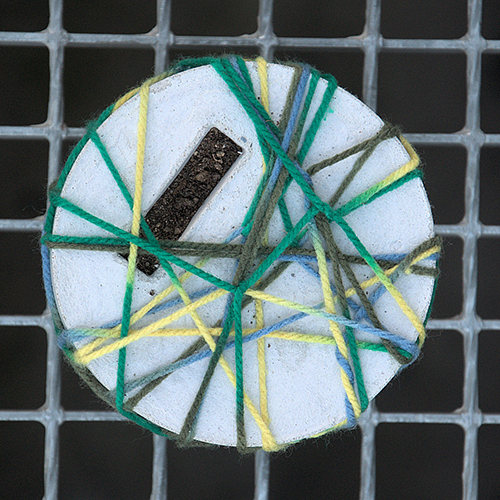 Constructed by cement, earth and colourful wool. Zaira seems to push us to focusing on the familiar, everyday objects that compose a city. It approaches them, however, in an unusual and unique way. Personal stories and distinct facts become unpredictably interwoven and leave their marks on the material. Meanwhile, life finds a way to sprout up within the minimum possible space. 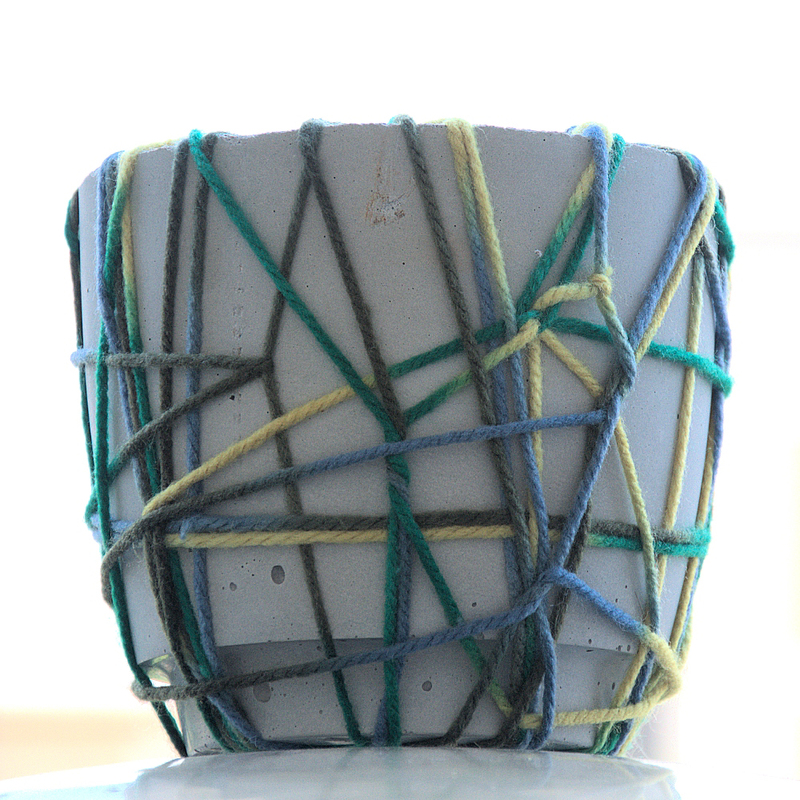 The object I created inspired by the idea of the minimum dimension and of past’s complexity and how it determines the present, is a non-flowerpot. It also comments on our cemented cities. Where one expects to find earth, there is cement. There’s just a little crevice, a small pocket of life, a small space where potentially a wild flower could grow. The main cement structure is wrapped by a woolen fibre in a random manner: a colourful ball of yarn, a story that no-one knows where it starts and where it will end.